Nesting at the heart of the Hampshire countryside, the Meon Valley is the gateway to the contrasting landscapes of rolling chalk hills and river valley unique to this stretch of England. This self-guided trail combines the superb scenery of the valley with the opportunity to discover some of the county’s historically most important church architecture from Saxon to late Victorian times. The churches, from the Norman All Saints’ at East Meon in the north to the Saxon and later church at Titchfield in the south, are described individually inside the leaflet. 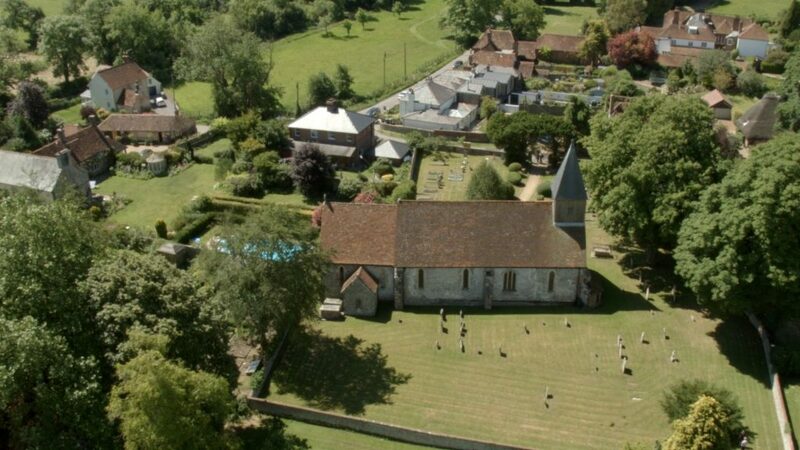 An additional leaflet is also available tracing a church trail within the Itchen Valley. 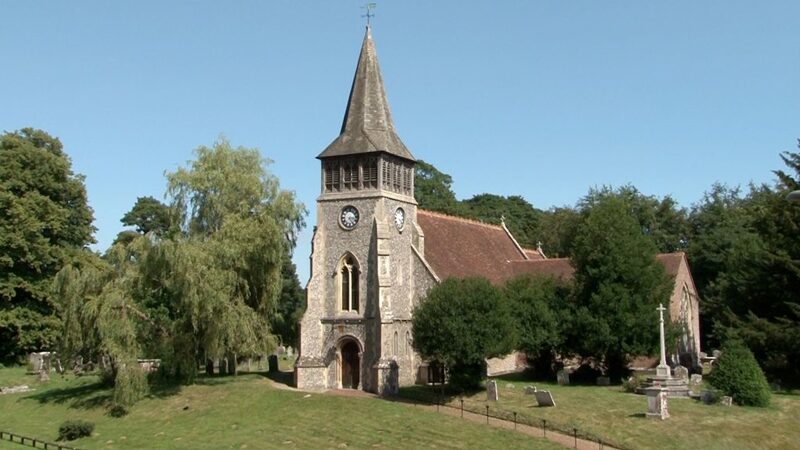 A DVD on the Meon Valley, produced by Saxons in the Meon Valley, is also available. The DVD brings to life the story of the Meon Valley in rural east Hampshire – its ancient river, landscape, history and heritage please visit the Saxons in the Meon Valley website for more details. Download a copy now or request a hard copy of the trail. Pick up a copy of our Visitor Map and get free entry for your child to Winchester's working watermill. Hurry - offer ends April 2019. Experience the gastronomic delights of Hampshire on one of our award-winning food and drink day tours departing from central Winchester. The official Mayflower 400 commemorations include an exciting year-long programme of ambitious cultural and artistic events. Hattingley Valley is a family owned business located in Hampshire specialising in premium English sparkling wines. World famous 180 acre gardens. The Gurkha Museum takes you on a journey of discovery through the history of Gurkhas in British service. One of the best regimental museums in the Country. Explore the beautiful market town of Bishops Waltham located in the delightful countryside of Hampshire in the Meon Valley area with this interactive QR trail. Come and discover the story of water over the last 100 years. Displays made up from social, industrial and agricultural artifacts and archives. A great family fun day out. Explore this charming country home set in 25 acres of gardens. Discover the 'Great House’ enjoyed by Jane Austen, the quintessentially English manor house and gardens with a fascinating history. Producers of beautiful English Sparkling Wine from their 60 acres of vineyards. Join a guided tour with one of Winchester's official tourist guides to take in the city's highlights. Live entertainment and events in a historic venue - also home to a cafe and Winchester Tourist Information Centre. Telling the story of Winchester. A trail exploring the Winchester District as favoured by main Tudor monarchs. A trail around the city centre that is accessible for all. A pocket guide to the beautiful market town of Wickham. A pocket guide to the charming market town of Bishop's Waltham. A pocket guide to the picturesque town of stockbridge in the Test Valley. Find out more about the fascinating history of the Jewish community in Winchester. Enjoy the golden colours of Autumn in Winchester on our trail that follows the route Keats took on his daily walk. It might be getting darker earlier but we love Winchester's sunset views - see for yourself and follow our self-guided trail. Grade I listed buildings dating from 1132 and is home to 25 Brothers. Described by William Cobbett as “one of the prettiest places in the County”. Jane Austen’s House Museum in Chawton, Hampshire, is the house where Jane Austen lived and wrote. Step back in time on the banks of the Beaulieu River at the peaceful haven of Buckler's Hard. Trace the footsteps of King Alfred from his statue in the Broadway to his last known resting place beneath Hyde Abbey Garden. The final remains of Winchester Castle and home to King Arthur's round table.